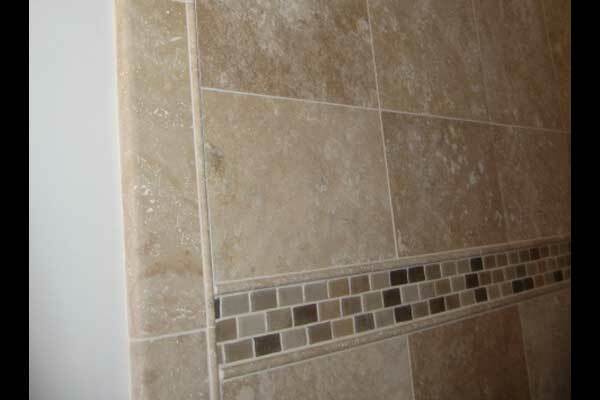 Honed travetine and the subway-shaped glass tile border accents this master bathroom. 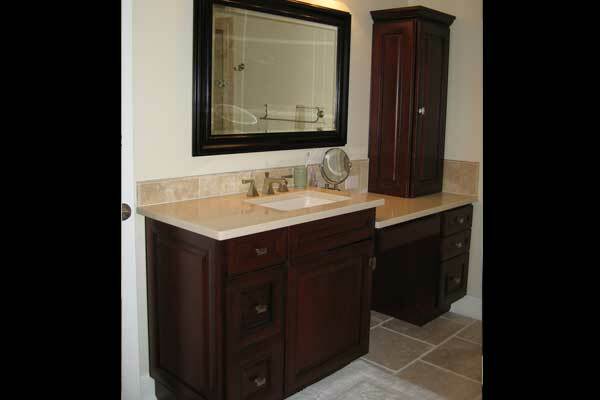 Quartz countertops and Kohler bathroom hardware create additional luxury. 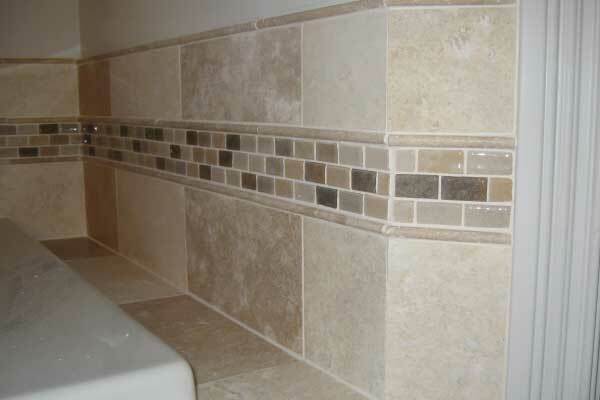 At Distinctive Contracting we can help with your bathroom remodel needs from major renovations to tile floor updates. Just contact our team today to learn more. 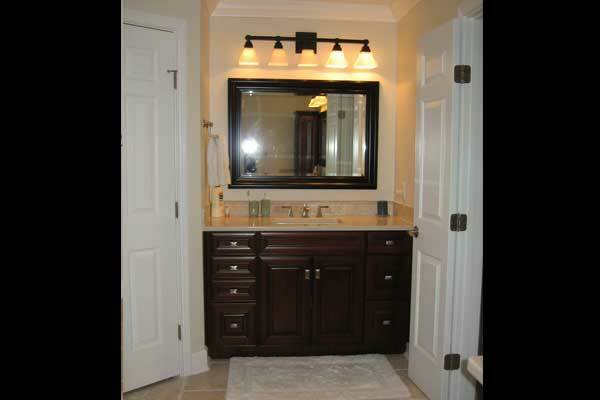 © 2019 Distinctive Contracting LLC. All Rights Reserved.